Defies wind and weather! 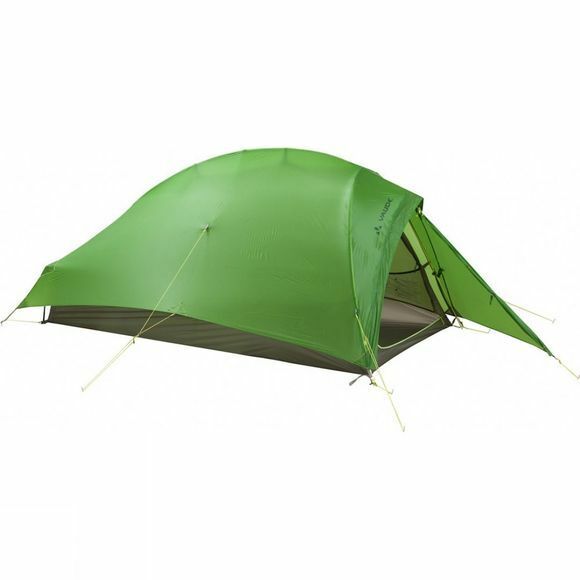 Vaude's extremely lightweight 3-season Hogan SUL 1-2P Tent with an inner-first construction for weight-watching trekkers and mountaineers is extremely wind resistant and durable. In addition, both sides are siliconized for even better weather protection at a low weight. The tent is easy and fast to set up. Spaciousness enough for 2 people who don't need a lot of space. Ideal for 1 person with a lot of gear. The high percentage of mesh in the inner tent and a fully adjustable ventilation opening create a pleasant microclimate. If you're on the road in warm and dry regions, you can use just the inner tent–it doesn't get any more comfortable and lightweight than this. To protect the environment, the textile primary materials feature resource conserving and eco-friendly manufacturing in accordance with the strict bluesign standard.